This pair of North-South Bar Magnets is affordable and colorful. 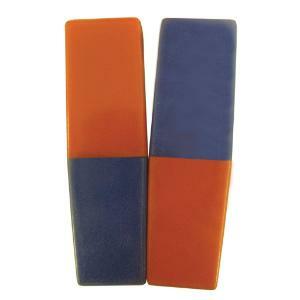 The North (red side) and South (blue side) pair of bar magnets are encased in ceramic. It's the perfect size for easy manipulation and experimentation.